If you are a fan of Valve’s Portal game this 20 minute documentary showing a behind the scenes look at the Aperture Science Labs is definitely worth a look. 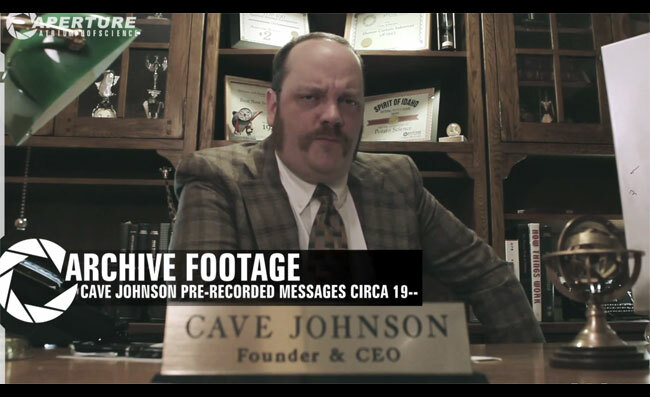 The humorous documentary takes you behind the doors to meet the staff and even archive footage of Cave Johnson. Watch the documentary after the jump. Enjoy!. “Aperture: A Triumph of Science” is a documentary exploring the genius of great minds at Aperture Laboratories just before the proud debut of their Genetic Lifeform and Disk Operating System. Created by Synthetic PictureHaus (Ryan Anthony Martin and Nick Celentano). 2011. For more videos covering the Portal games jump over to the Syntheticph website.